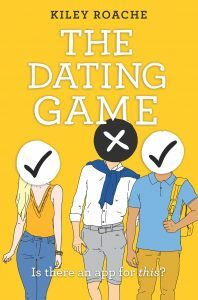 The Social Network gets a romantic twist in this fresh and engaging new read from the author of Frat Girl, featuring college campus life as three freshman stuck working together on a group project create a dating app that goes viral, winning them fame, potential fortune…and more trouble than it might be worth. Sara is a driven type-A control freak who lives by her color coordinated Post-it notes. Braden is a player who wants out from under his billionaire father’s thumb. Roberto earned his place at Warren University through scholarship and can’t afford for his grades to drop. When the three are forced to work together as a group in one of the university’s most notoriously difficult classes, tension rises to the breaking point…until shockingly, the silly dating app they created in the final hour proves to be the most viable project in class. Late nights of app development, interest from corporate sponsors, and unexpected romance are woven into a true-to-life college drama that combines the intensity and atmosphere of The Social Network with a romantic twist.